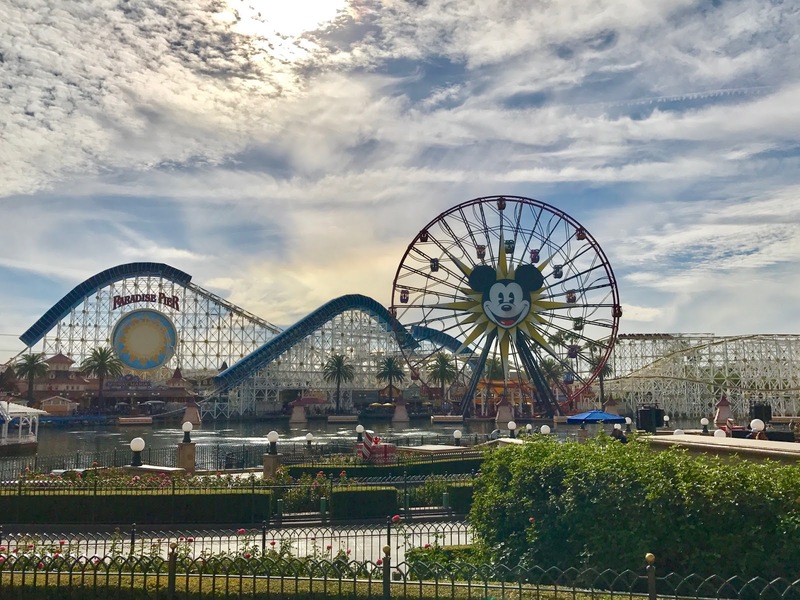 Last month, my husband Gabe and I had the opportunity to visit Disney California Adventure while in town for the Super Heroes Half Marathon weekend. I've wanted to visit California Adventure since it opened in 2001. I remember being insanely jealous they got a Roller Coaster. When we walked inside the park, I was excited beyond words. Over the years, I have watched friends visit Disneyland for runDisney events. 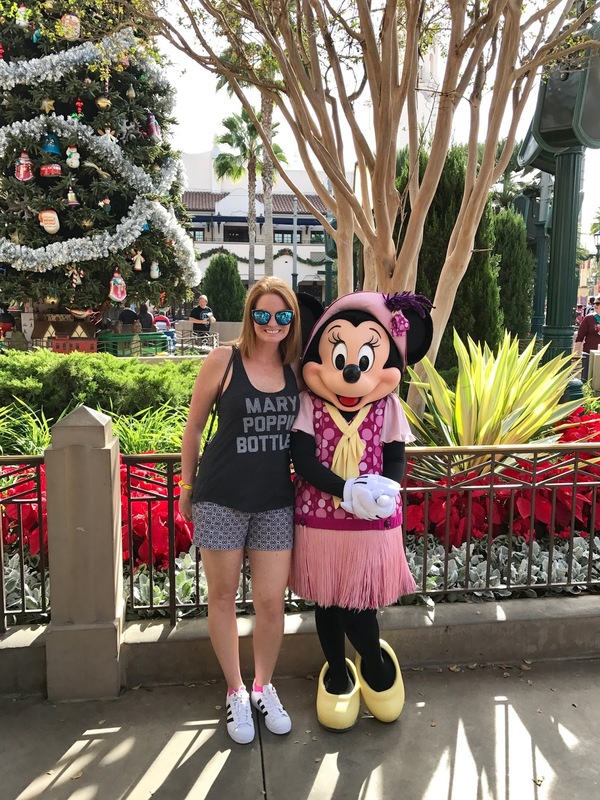 Running through Disneyland was a bucket list item for me that I didn't expect to cross off this year. Between visiting Disneyland California for the first time, getting my first Coast to Coast medal and visiting Disneyland Paris, 2016 ended up being my dream Disney year. That is where the similarities between Disney California Adventure and Hollywood Studious come to a screeching halt. I can say without pausing, DCA is the best Disney park I have been to and wish on all my stars that Disney would build something similar in FL. We began our adventure with a trip to Clarabelle's hand scooped ice cream. Tap-tap, hey Disney, are you listening? PLEASE bring this to Florida? This ice cream shop offers the famous kitchen sink desserts but that wasn't what stole our hearts. It was the hand dipped ice cream bars, where you chose a flavor (I got vanilla), hard shell (milk chocolate) and your toppings (everything). 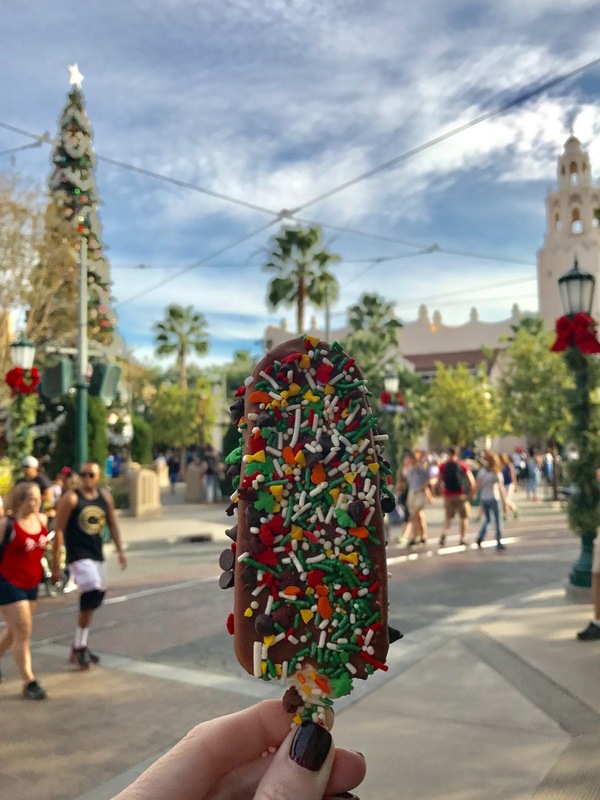 The ice cream was fresh, soft, delicious and we didn't give a second thought to the Mickey Bar. With full bellies, we began our adventure in Cars Land, the one place I got more photos and videos of than anywhere else on our trip. I was fascinated with what they did to this section of the park. It's almost as if you jumped inside your TV screen and became part of the Cars movie franchise. Everything was themed exactly like the movies. 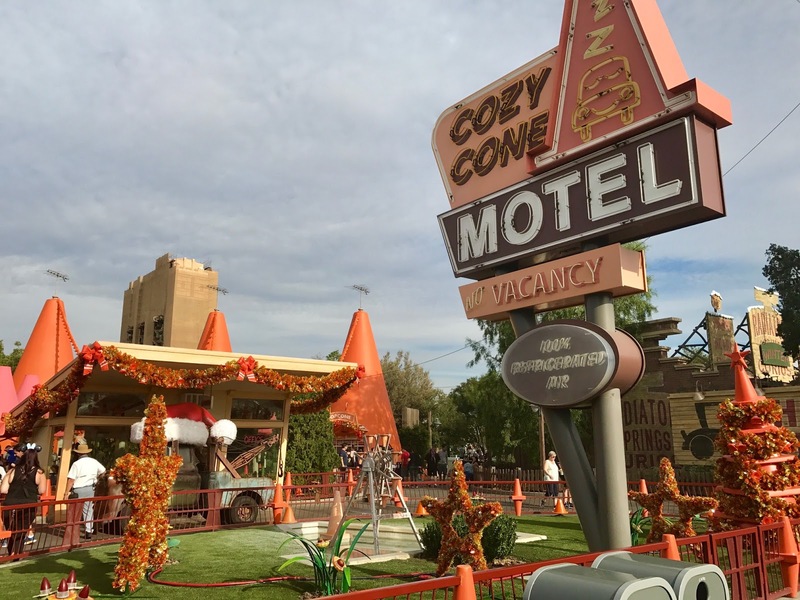 From Cozy Cone Motel to Flo's Cafe. It was cute cute cute. We spent both Friday night and Saturday afternoon at California Adventure. Luckily, we chose to wait out the single rider line for Radiator Springs Racers on Friday night because it was closed on Saturday. Both Gabe and I loved this ride. You start in a car and race through the desert, just like the movie. There are sharp turns, fast drops and it was a ton of fun. The end of the ride, you race against another car. Instead of character meet and greets, you meet the car! Which talks, and actually drives through the town. Check out my video below of Towmater. 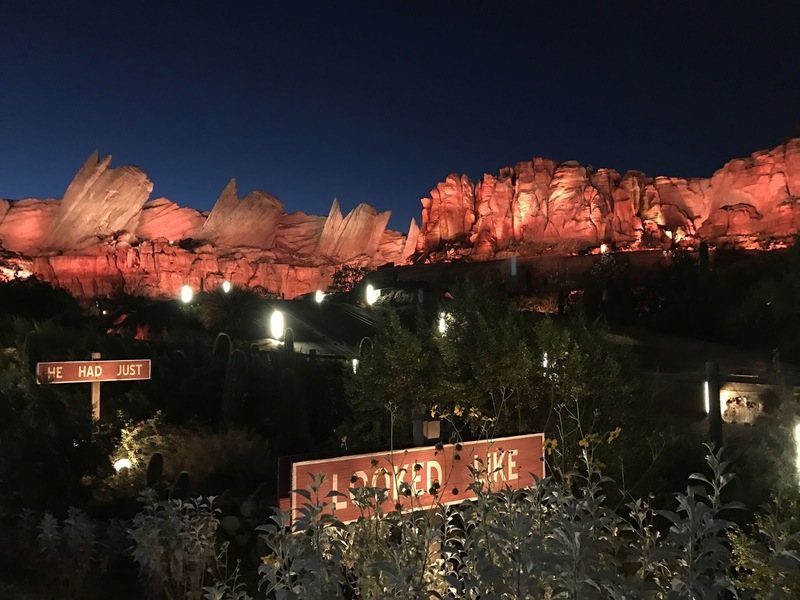 If one thinks Cars Land is cool during the day, you have to come see it at night. The lights were incredible and it felt like an entirely different experience than during the day. 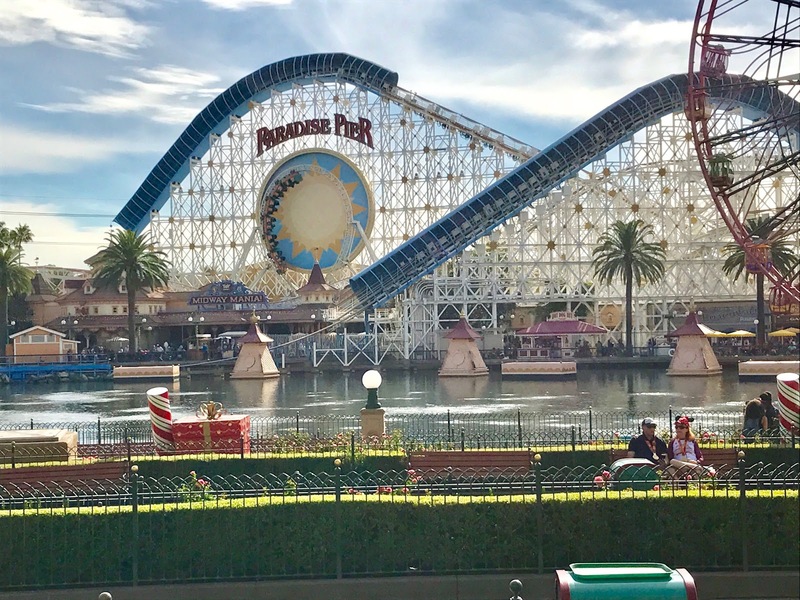 After leaving Cars Land, we headed over Paradise Pier, the Boardwalk section of California Adventure. I loved that this entire section was themed after going to the boardwalk back in the day. 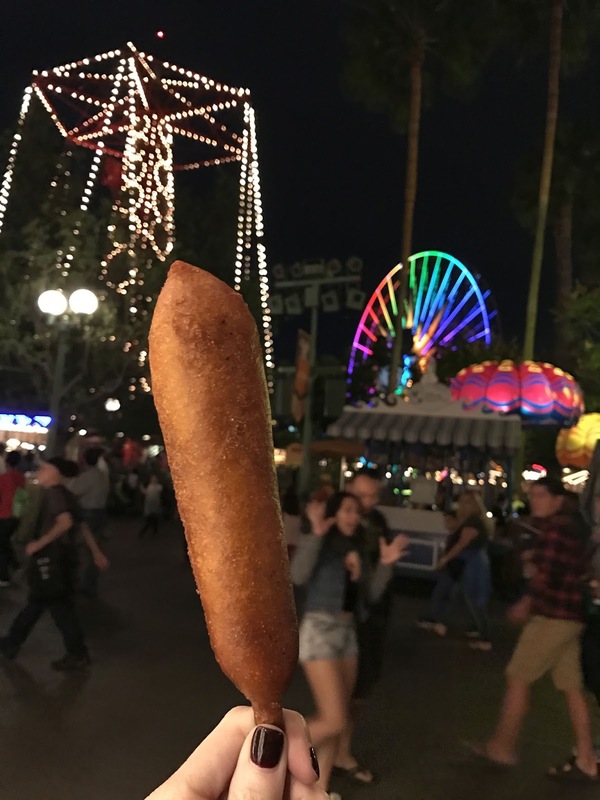 This is where you will find California Adventure's famous Corndog (same stand as Disneyland but a much shorter wait)! California Screamin is the Roller Coaster that you see in all the photos of California Adventure. The photo above shows where you start and get catapulted up in a very fast speed into a thrilling ride. It looks like an old school wooden coaster but it is much smoother than those rides tend to be. See the circle (sun) in the center? The photo actually shows a car going upside down through the loop. We had a blast on this ride and would do it over and over again. We played many games at the boardwalk and won quite a few prizes. These were old school style boardwalk games. The one thing we loved about the games at Boardwalk were the quality of prizes. We walked away with full size Authentic Disney stuffed animals, including a cast member Mickey. We also rode Mickey's Fun Wheel, which I will warn you, is quite the scare if you aren't prepared for it. This innocent looking Ferris wheel has swinging gondolas, which fly you through the inside of the wheel. If you aren't up for this, they have a few stationary ones as well. It was time for lunch and we luckily got a same day reservation at Wine Country Trattoria. 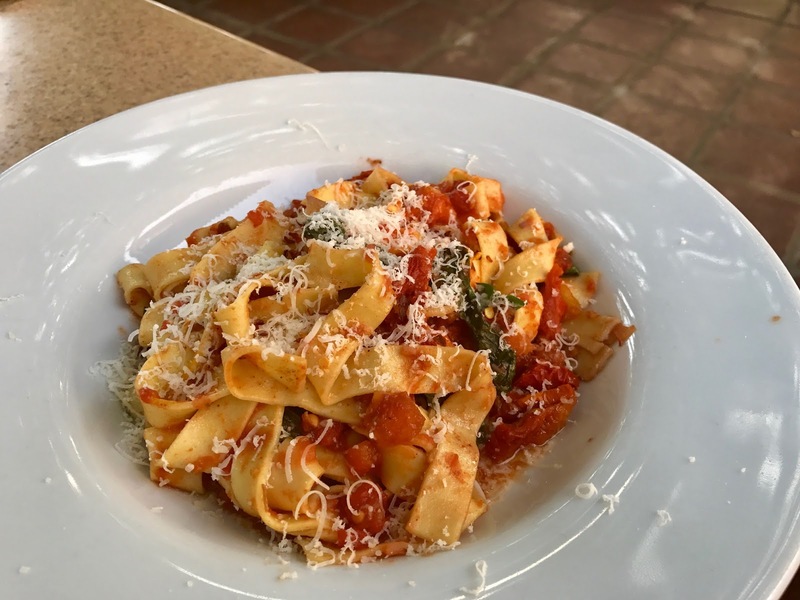 Even though we had dinner that evening at the Avengers Pasta Party, I ordered the Quattro Pomodoro, one of the best pasta's I've had at any Disney property. This consisted of Fettuccine with a blend of of Tomatoes, Garlic, and Basil. It was the perfect blend and full of flavor. Plus the wine selection at Wine Country Trattoria made for a very happy day. After lunch, we headed to the opposite side of the park so we could attempt to get on Tower of Terror. However, the wait was over 2 hours and it is currently the same as what we have in Florida. 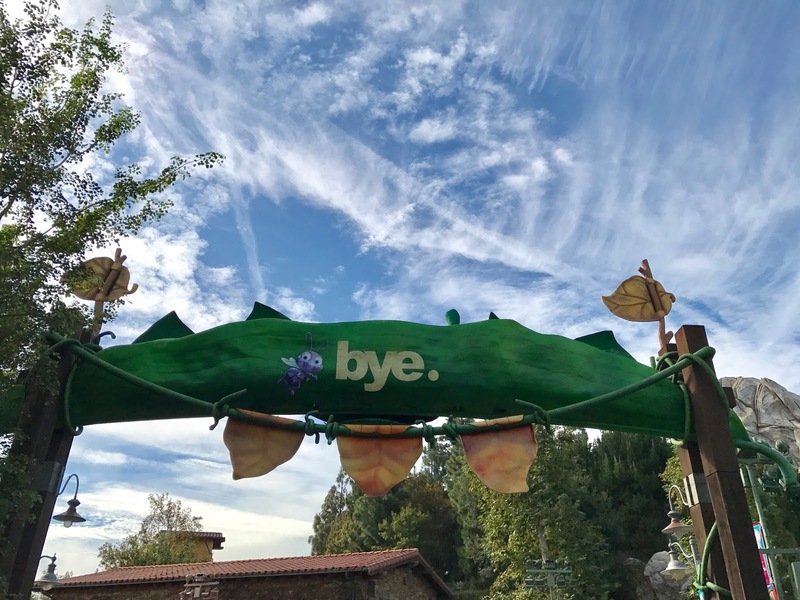 It would have been nice to say we rode it before Guardian of the Galaxy takes over but it wasn't worth spending our entire short window at the park waiting in line. I did get a quick photo of it under renovation though! This side of the park had a lot of fun things for kids of all ages. The imagination and creativity that went into this park is shown throughout. I personally thought Flik's Flyers was adorable - guests rode in "air balloons" also known as food containers! Everything was from a bugs point of view. Cute cute cute! The night was closing in on us but we had to take advantage and get the famous corn dog at Corn Dog Castle. I can honestly say that the corn dog lived up to it's hype. Although we have a similar version at the food trucks inside Disney Springs, it doesn't touch this one. If you find yourself in Disneyland, do yourself a favor and get this staple! 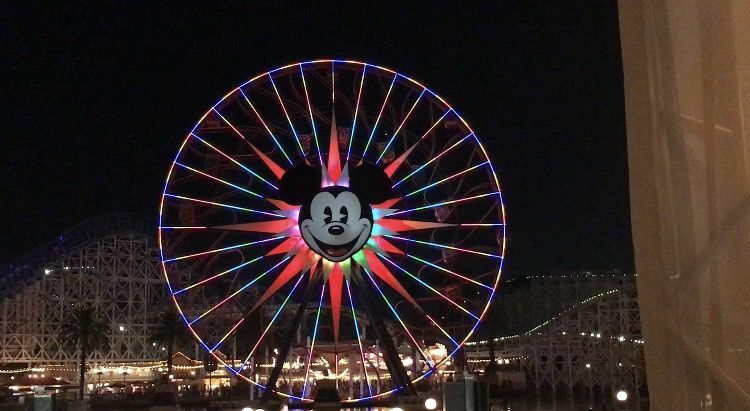 It was time to say goodbye to Disney's California Adventure. We were very pleased with our time there and would go back in a heartbeat. With this being the third Disney location we have been to in the past 4 months, without a doubt, it was our favorite of all the parks. Special thanks goes out to Disneyland for hosting me and my husband. I was not compensated to write this post and all opinions are my own.